The sub-regional Plan Change 2 - Hinds Plains is now operative in the Ashburton Zone. Ashburton Zone. Click on map to download pdf version. 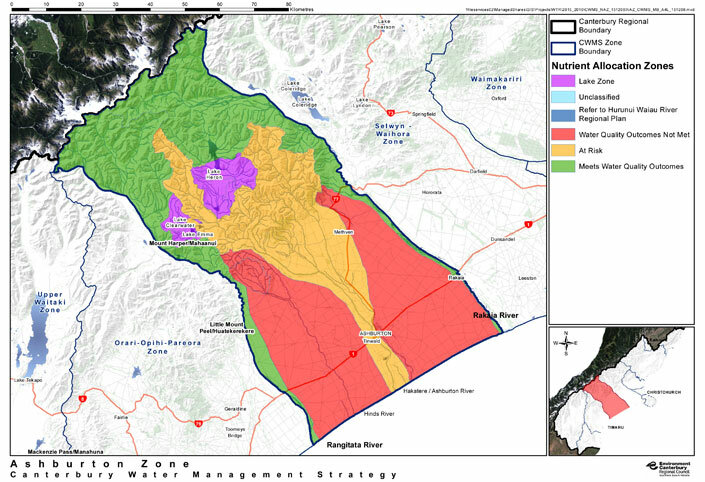 The Ashburton River catchment and the Ashburton-Rakaia plains are still subject to the Land and Water Regional Plan nutrient management rules. Ashburton has different coloured zones representing different nutrient allocation rules. Click on the colour below the map for an explanation. If you are in the Hinds Plains area, make sure you also check the information in the section below. Read more on the Canterbury Water Ashburton Zone page. 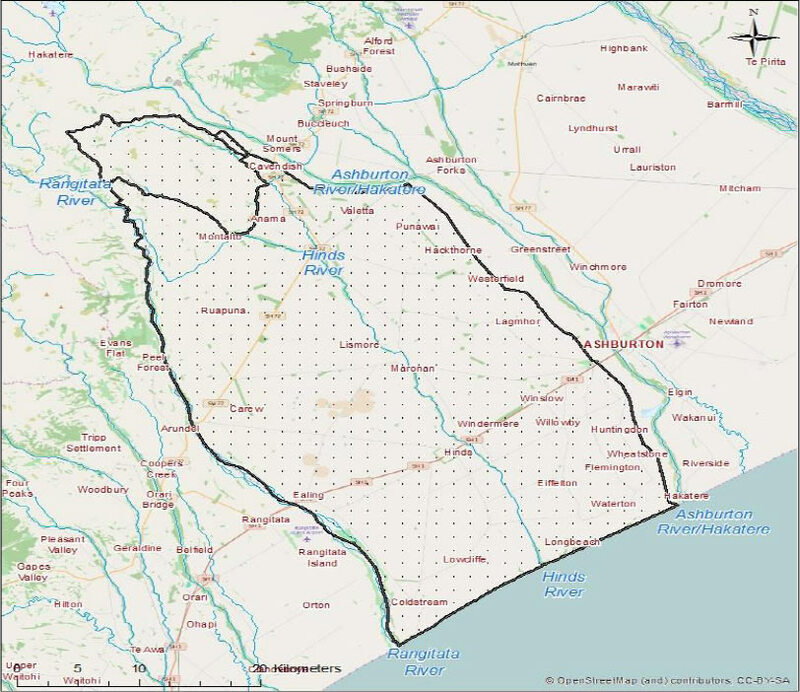 Irrigation schemes in this area – for your regulatory requirements. In September 2014, Environment Canterbury notified Hinds Plains (Plan Change 2) which proposes that dairy farmers make significant reductions in nitrogen losses in the Hinds catchment. Together with other primary sector organisations including Federated Farmers, Fonterra, Synlait Milk and the Hinds Plains Land and Water Partnership we developed a common position and presented supporting evidence at hearings in 2015. In Februrary 2016 Environment Canterbury released the decisions on Plan Change 2, this has been appealed to high court to be resolved. Watch this space for further information as it becomes clear. To find out what's happening in the Hinds zone contact Katherine McCusker on katherine.mccusker@dairynz.co.nz or 022 071 0255. For more information click here. Farmers Guide to Permitted Activities in Canterbury Land and Water Regional Plan. CON 506: Application for a resource consent under the Resource Management Act 1991. Planning assessment sheet: Farming activity in the Hinds/Hekeao Plains area.